Illustrator Kim jimin explains her art works. 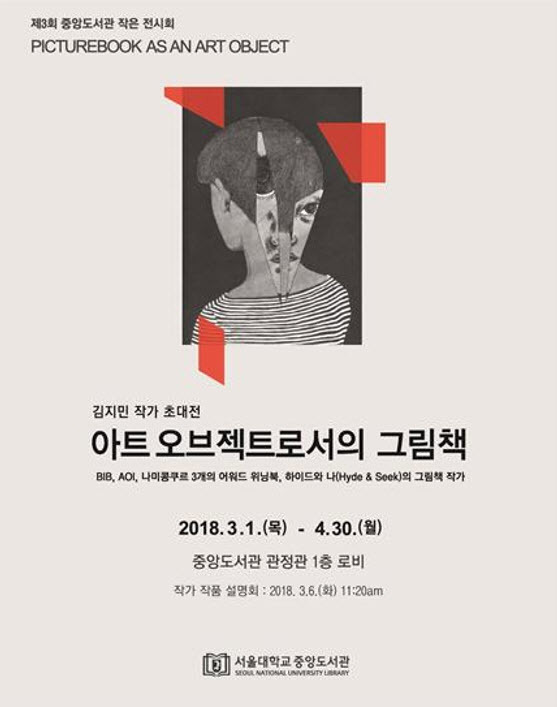 The SNU Library is currently hosting its third exhibition on the first floor of the Kwanjeong building which is open to all members of the SNU community and their guests and will be on display through April 30. Last year, the library began hosting small-scale exhibitions on the artworks, crafts, and photographs of young artists and students of SNU. 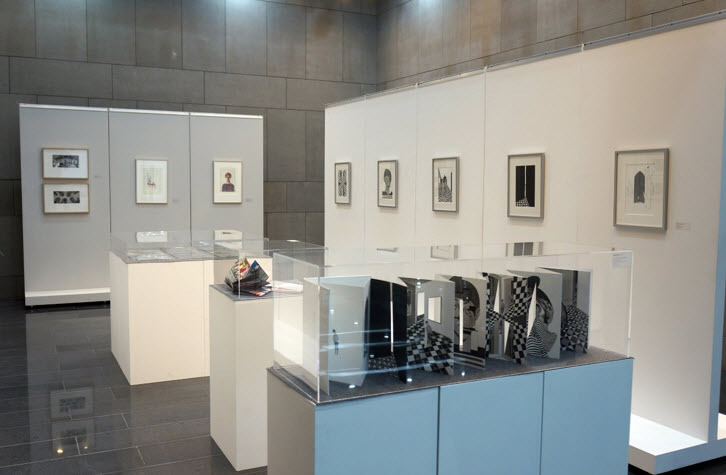 The theme of the exhibition is “The Picture Book as an Art Object,” and consists of works by writer and illustrator Kim Jimin, including her picture book, Hyde and Seek, which has won such as the Association of Illustrators (AOI) World Illustration New Talent Award and the Biennial of Illustrations Bratislava (BIB) Golden Apple Award, both in 2016. The etching plates that she used for this acclaimed picture book are also on display. 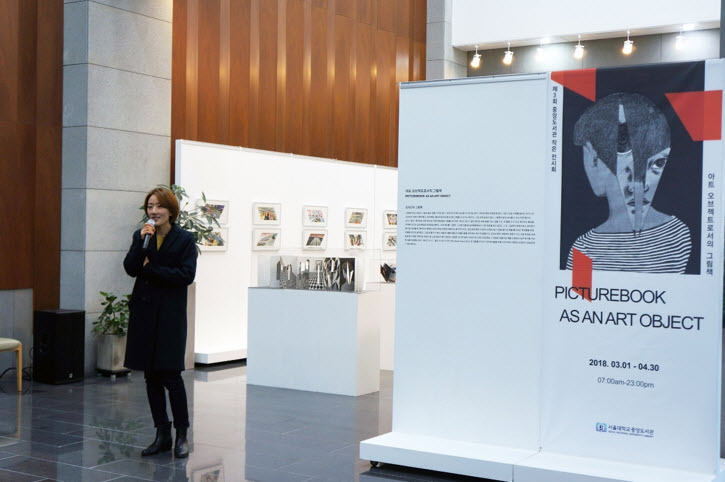 The SNU Library will continue to host small-scale exhibitions, providing members of the SNU community with a space where they can not only access information but also engage with cultural content. The exhibition continues until April 30, 2018. For further information on the current exhibition and future events, contact the SNU Library Communication Office: 02-880-5285.